We live in a fast paced world where we play fast paced games. If you’re like most people, it’s probably difficult finding the time to practice on a consistent basis. Sometimes, the one or two nights of league end up being the only practice we get. The next thing you know, the fun pool team you decided to join ends up being frustrating and disappointing due to your lack of preparation. How can you expect to show up each week and just be ready to compete when you haven’t hit a ball since last week? A quick way to get in stroke before your league or tournament match is to spend a few minutes warming up your arm and calibrating your stroke. Choosing the proper warm up will help reinforce good habits, get you loosened up, and build a little confidence. This 20 minute tune-up is not in any way intended to replace good old fashioned practice but it will definitely help you feel a little more prepared prior to competing, especially when you only have a limited amount of time. As you shoot each shot in this series, focus on staying down and following through with a smooth and level cue stick, finishing in the forward position. Pay close attention to your tempo and breathing. Stay calm and relaxed. It’s very important that you take each shot seriously. You always want to practice the way you would compete because otherwise, what’s the point? If you miss, move on to the next shot or set it up again. Either way, calmly walk over and set up the shot. Never bang the ball with your cue when you miss. You can’t do that in a match so why do it when you’re practicing? Keep a level cue and aim slightly above center along the vertical axis. Shoot the cue ball straight down and back with medium speed. 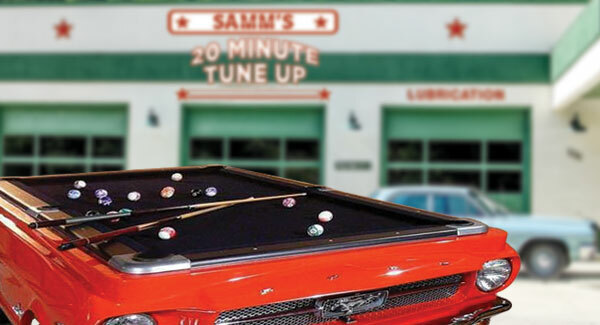 Stay down and let the cue ball come back to your cue tip. 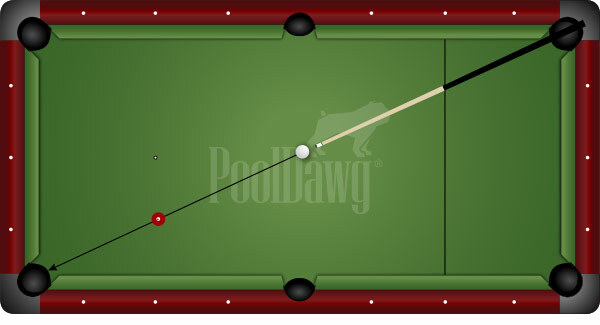 If the cue ball is going to the left or the right, you may be adding some unwanted left or right side-spin. Set up this shot with the cue ball lined up straight in with the object ball to the pocket. Shoot five stop shots using pocket speed and a smooth stroke. Watch the object ball go into the pocket and do not raise your head until it does. Pay close attention to what part of the pocket the object ball is entering. Work on splitting the pocket. This will help calibrate your stroke. Again, set this shot up with the cue ball lined straight in with the object ball to the pocket. 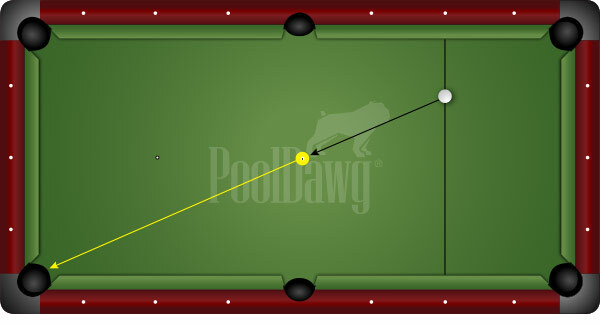 Using a level cue, aim above center and follow the object ball into the pocket. If your cue ball is going off to the left or the right then you are cutting the object ball and you’re not hitting it dead center. This is another shot to help calibrate your stroke. 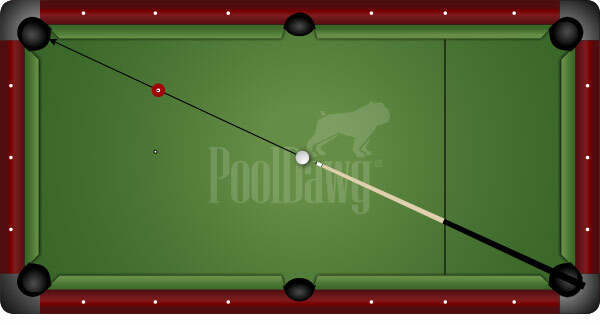 This shot can only be executed with a smooth, level cue. Once again, set this shot up with the cue ball lined up straight in with the object ball to the pocket. This time, start with the cue ball only one diamond away from the object ball. With a level cue, aiming below center, draw the cue ball back to the short rail. Move to the next shot and place the cue ball straight in again, one diamond apart, and repeat the shot. 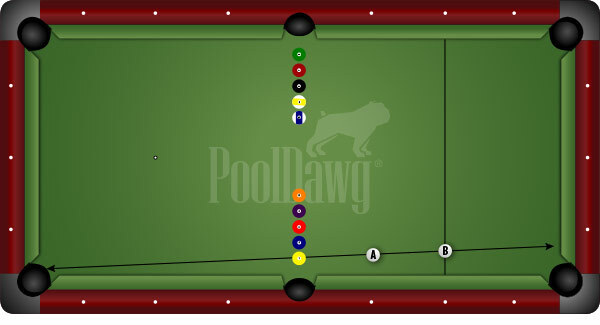 Once you’ve completed five on each side from position A, move the cue ball to position B. Remember to keep your fingers very loose on your grip hand. These shots will help you get loosened up. This is another straight in stop shot with two extra diamonds of distance. Do not hit this shot any harder than necessary to pocket the ball. If you find your cue ball is drifting forward, aim lower versus increasing your speed. If you have some extra time, set up the second shot again and this time, shoot a stop shot with your firmest speed. This will also help keep that arm nice and loose while developing your accuracy. Be sure to stay down and follow through completely without jumping up or retracting your stroke. Frank Says: "Practice doesn’t have to be a drag! Make it fun with the Ultimate Pool Challenge! It's great for solo practice, or grab some friends and turn it into a game." Practice is something that is unique to each individual. Some require more than others to maintain a high level of performance. These are intermediate to advanced level shots. 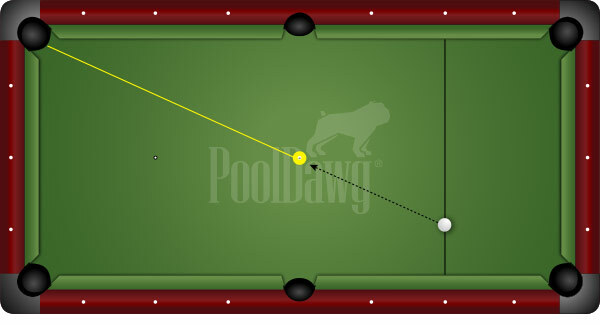 If you find you’re having difficulty executing these shots, consider moving the cue ball closer to the object ball in each example. When your time is limited, a proper warm up will do wonders for your game. The next time you’re in the Mile High City and looking for a Denver billiard instructor, be sure to look me up.